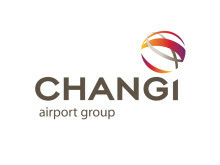 SINGAPORE, 24 April 2014 – Singapore Changi Airport managed 4.49 million passenger movements in March 2014, 2.5% lower than a year before. There were 29,100 landings and take-offs at Changi last month, a 2.5% increase compared to March 2013. Socio-political factors continued to weigh down on travel demand on some routes while a reduction in long-haul capacity, especially to the United States, has also impacted passenger movements. Thailand traffic decreased for the fifth consecutive month, with traffic to and from Bangkok declining by 29% on-year in March. In the first quarter of this year, 13.2 million passengers travelled through Changi Airport, 1.1% more than the corresponding period in 2013. Total flight movements for the first three months of 2014 grew 4.5% to 86,300. In January, Changi Airport welcomed new airline Lucky Air, adding a new city link – Guiyang in China – to its network. On the cargo front, 169,800 tonnes of airfreight shipments were processed last month, a slight decline of 1.3% on-year. Cargo shipments were stable at 446,900 tonnes for the first three months of 2014. 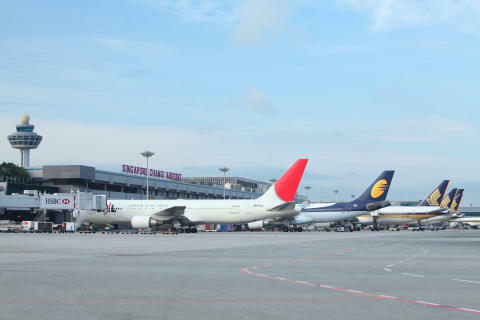 As at 1 April 2014, more than 100 airlines operate at Changi Airport, connecting Singapore to 280 cities in some 60 countries and territories worldwide. With more than 6,800 weekly scheduled flights, an aircraft takes off or lands at Changi roughly once every 90 seconds. New Services – Uzbekistan Airways launched Singapore’s first direct air link to Central Asia on 4 April, operating a twice-weekly service between Tashkent and Singapore. At the start of the new Northern Summer season, Singapore Airlines added a third daily service to Tokyo’s Haneda Airport. This brings the airline’s total number of flights to Tokyo (Haneda and Narita) to five times daily. New Stores – Serving up an array of affordable French dishes, Poulét has opened Changi Airport’s first French casual dining concept on the Level 4 Viewing Mall of Terminal 3. Airport visitors will also get to satisfy their sweet-tooth cravings with freshly baked cupcake treats from Twelve Cupcakes, located in Terminal 3’s Basement 2. Over in the transit areas, Indian fashion label Pashma opened its third shop in Changi Airport. Located in Terminal 2, passengers can choose from a diverse selection of luxury scarves and wraps made of cashmere, silk and linen. The H Shop opened its first store in Terminal 3, selling the famous Havaianas brand of flip-flop sandals. Two local brands also opened new outlets – mid-price women’s fashion boutique Purple Attic as well as gifts and lifestyle brand Cards n Such, both in Terminal 2. Data on airfreight tonnage at Changi Airport for 2013 as well as the first two months of 2014 have been updated following revised submissions this month by a cargo carrier. Any inconvenience caused by this revision is regretted.